Contact Us for Math Help! Hello. I'm Tania Mouratidis, Owner/Centre Director of Mathnasium of Oak Ridges, your neighbourhood math-only learning centre. We help kids in grades 2-12 understand math by teaching the way that makes sense to them. Mathnasium of Oak Ridges opened in January 2015 here in north Richmond Hill, Ontario. We have had great success in math tutoring and most especially in teaching children to understand and love math! Come and visit our specialized math only centre and see how we can help your child become CRAZY about math! Our expert math staff is passionate about helping kids to improve and excel in math through year-round, summer and specialized math programs. We are located on Yonge Street, between Bloomington Road and King Road at the corner of Yonge Street and North Lake Road, in the plaza with McDonald and Nofrills. Our exact location is 13071 Yonge St, Unit# 30-31, Richmond Hill, ON, L4E 1A5. My kids have been going to Mathnasium the past few years and they love it. I highly recommend this Math Centre!! Professional staff and a great program that engages children. Tania and her staff are always number 1 with our family! She has been a part of our math journey for a number of years now and we do not not know what we would do without her expertise and her positive and encouraging words. She has made my children believe in themselves when they could have easily given up. Keep up the amazing work. Oak Ridges is lucky to have such an invaluable resource! Mathnasium is the best thing that happened to our family! Thank you Tania and the entire Mathnasium team, you rock! Tania and her staff our the best! My daughter loves to go to the centre and is now confident in her math abilities! My son was very reluctant to go for tutoring. He was pleasantly surprised that the majority of the tutors are students which makes for a much more comfortable atmosphere. He is less reluctant to go and has actually been very positive about his time there. Tania is the best..Great team support and guidance for my son. She really cares !! My sons grades have shot up and so has his confidence. Good learning atmosphere and regular and consistent practice with daily homework help, keeps my son feeling independent with his work and clear doubts he had in classwork and homework. Great team support and guidance for my daughter. They truly care about their students! First and foremost I want to thank Tania and the wonderful staff at Mathnasium. The staff are knowledgeable, caring, reliable, and outgoing. It’s an excellent working environment for children to learn and reinforce their math skills. Since working with the staff at Mathnasium my daughter’s grades have improved dramatically. I am very impressed with the services and staff. Keep up the great work!! My son is doing great so far. He is just starting grade 10 in a month so we’ll see what happens with his math mark at school. Mathnasium has been a great experience for my daughter... it has helped with her confidence in math and she has been excelling in math since her time at mathnasium. Very happy with the Mathnasium Oak Ridges! My son having fun while learning math! The owner is so nice and helpful. Thank you, Happy mom. Tanya & the Mathnasium staff genuinely care about my child 's success!!! 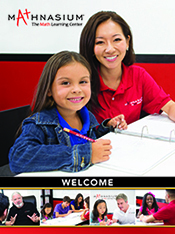 I will definitely refer family and friends to Mathnasium in Oak Ridges. Thanks Tanya! Mathnasium has been an amazing experience for our family. The staff are the best and we know it comes from the top! The staff at mathnasium are caring and competent and very effective in upgrading childrens math skills! Incredible staff, tutors & exceptional program! Great place for students to learn more about math and great instructors. We've only been at this Mathnasium for a bit over a month, but already see a great improvement in our daughter's confidence and results. A fantastic positive environment to learn and excel. Program offers a variety of Math exercises suited to individual students. Staff members are all very knowledgeable and friendly. The students love to come because they feel helped and encouraged, thereby increase their confidence. Tania & her team provided the best experience for both of my children. I would only recommend them. I really like the flexibility and ability to make up sessions. This is necessary since life is unpredictable. You guys are the best! You've taken my math averse child and sculpted her into a young person who asks to come to Mathnasium so she can have the best teaching around. You're teaching more than Math - you are teaching life skills. THANK YOU !! Please feel free to use my comments and initials SP for your testimonials. They really helped my son with math. They make it easy to understand. They find the weakness and fix it, so going forward, it's not a problem anymore! My daughter graduated this year from Grade 12 high school and was a 'regular' at Mathnasium in Oak Ridges, as she wanted to secure entry to her 'top pick' of universities. Her marks in Calculus/vectors, etc .. were very important in securing admission and admittedly, she lacked confidence in this subject. She worked regularly with Rebecca, who was outstanding in helping her to not only learn the subject but gain confidence as well. Happy to report that my daughter was admitted to this university (yay!) and we're very grateful to Rebecca for the support and patience she exhibited in helping my daughter. Thank you Mathnasium team ! Mathnasium has really helped with school and final exams. Zack received straight A's in math this year thanks to the amazing instructors at mathnasium. Thank you! Since my daughter started Mathnesium, she is more interested in math and all her grades are +A. Since my daughter has started attending mathnasium her confidence and interest in math has changed in such a positive way. I wrote a nice comment on your facebook page. Layla loves it here! Big improvements in her grades!! She is much more confident! Great expereince - super accommodating staff! Flexible, pleasant and welcoming centre. This helped my son understand from transitioning from grade 8 to grade 9 a lot smoother. Tania and her team put their heart and soul into teaching the kids the right concepts of math . I am delighted to have both my kids enroled with them at the center. Tania is the absolute best! We just love Mathnasium of Oak Ridges. I approached Tanya to discuss my daughter's confidence and results in math. After the initial assessment it was apparent that my daughter's retention was well below average. After attending Mathnasium throughout the summer, I saw a greater confidence and positive attitude toward her math studies. I plan to enroll her every summer throughout middle and senior school. My daughter has just started at Mathnasium and we are extremely happy. She is enthusiastic about going to math class and is enjoying the experience. Her math skills are already starting to improve. The teachers are very carrying and positive about learning. I would recommend this school to anyone. I have only positive things to say about the program. It has been a great experience for my son. My son is prepping for exams. Helping lots. Excellent resource to increase the student's understanding and application of math principles and concepts. Staff are friendly and knowledgeable, easy for students to relate to . I am so thankful and grateful for Mathnasium. My child has been a C student in math from the very beginning and also never enjoyed math. Since starting Mathnasium in grade 5 she is now getting straight A's in math in grade 6. I would have never believed it was possible for my child to enjoy math let alone achieve A's. This is an incredible program with teachers who really care about my child's progress and how she learns. THANK YOU!!! Mathnasium has helped my son with his confidence in tackling more challenging work. In the 10 months he has been with Tania and the team at Mathnasium, his math grades have gone up 30% from the end of last school year to now, putting him at a 95% average in Grade 8 math to date. The atmosphere is friendly and allows students to be at ease and free to ask questions without fear of judgment. I highly recommend to all parents who feel their child could benefit from a little extra help to get a better handle on the basic math skills. We love you Tania! You made it very easy for me to enrol Rochelle and create a flexible tutoring plan for her. You were amazing. And the tutoring was excellent. I have been sending my three kids to MATHNASIUM and it has been a very positive experience for all of them. A big part of the positivity comes from Tanya she is a Wonder Woman with the kids, and has developed a very happy atmosphere for learning. Of course the best part of sending my kids to MATHNASIUM is that all of my kids are getting A’s in math. Spencer [LAST NAME REMOVED] absolutely loved his time there. We are def going to invest in the future once school starts. (We do have one hour left to make up). Hoping maybe later this week? Thanks. Spencer and family. Mathnasium-Tania has worked very patient with my daughter Zahra who is recovering from a concussion. She is giving my daughter the time and space she needs and making sure her headaches are not soaring. Zahra feels more confident going back to school after 5 months. Thank you Mathnasium. I appreciate the personalized service my children receive. Mathnasium has been a great experience for helping our child to not only improve on his math skills, but to build confidence in taking on challenges and asking questions. The team at Oak Ridges Mathnasium creates a friendly and positive leaning environment. My daughter was intimidated by numbers and because of that did not do well on Math tests, then she met Tania and her staff. Everyone at Mathnasium made her realize that she could do a whole lot better. Thanks to the amazing team my daughter is doing much better than she ever thought possible and we are very happy!! Thank you Mathnasium team!! My son is more confidents with Math in school now.Thanks! The staff and quality of service was top knotch! Andrew is always greeted with a smile and always being encouraged to do his very best.. It's a very wonderful and positive place and I would highly recommend Tanya to help anyone's child !!! She always makes him feel like he matters and I was encouraging him to do the best that he can !! Great group of teachers, very dedicated and eager to contribute to the student's success! Very helpful and safe environment. Helped improve my childrens math skills a lot. Andrew is very happy and loves coming.. He just brought home a test tonight and Got a 93%. Thanks you Tanya!!! My daughter enjoys the atmosphere and the help she's getting from mathnasium is wonderful! My teenager thoroughly enjoys attending Mathnasium Tania is FANTASTIC! She does not sell it, she's blunt and tells you exactly the areas that need improvement. Her presence is to truly improve the math skills for anyone. She wants everyone who walks through that door to exceed their potential in math. Bravo. I was really happy with oak ridges mathnasim,Tanya is professional instructor ,responsible and hard worker.I will recommend this math class to my friends and family. I am completely happy and indebted to the team at Mathnasium for all of their genuine care and love for my child. They are always patient, kind, encouraging and supportive! I am blessed to have found such a caring and amazing group of teachers. My child enjoys going to the sessions and always tries harder to improve his skills....he feels empowered to push himself and is proud of his accomplishments. Mathnasium is family. The staff was extremely dedicated in helping my child reach her highest potential. I was very impressed and grateful for all their hard work! I would highly recommend their services. The staff at Mathnasium of Oak Ridges were great! Always available to help and flexible when it came to exam time - thanks so much!!! Tatiana is the most wonderful and caring person. She is invested in the children's learning and will put her own busy schedule aside in order to ensure my child or someone else's child is fully understanding the concepts being taught. She is one in a million and I was extremely blessed to have met her. She has helped my child and continues to be committed to his ability to improve his math understanding. I do reccommend Mathnasium to my friends and acquaintances. I have only had positive experiences. She is the best!!! Mathnesium was very helpful to make my son aware of his gaps and it was a great support to pass the exam to enter the IB program. I think it provides a fun environment for kids to learn math. I am thankful for the tireless effort the staff at Mathnasium demonstrate daily enabling both my kids to learn and understand math in positive enviroment. Mathnasium is a helpful tool in a deficient educational system. Upgraded results reassured Mathnasium is the right place to correct it. Thank you Tania and to all your great instructors.